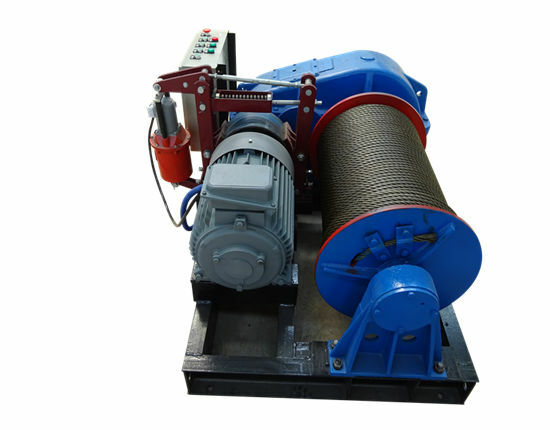 Electric cable winch made in Ellsen is widely used in hoisting and dragging. It can be found not only in the construction site but also in the marine equipment. Just as the name implies, the electric cable winch has the cable in the winches. However, it can be divided into single drum winch and double drum winch. Single drum winch only has one drum to support the cable. Compared with the double drum winches, the single drum winches are smaller in the size. 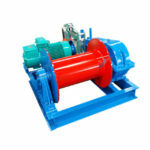 The single drum winch has compact structure and fashionable appearance. Even though there is only one drum in the winches, they can work well in the function. That is to say, the single drum can work well in the process of hoisting. The double drum winch has two drums to support the cable or rope. Compared with the single drum winches, the double drum winches are bigger than the single one. However, the strength of the double winches is bigger than the single one. As a result, the double drum winch is suitable for the equipment which needs bigger power. As we all know, ISO is the abbreviation of international organization for standardization. It is an international organization that has a great influence all over the world. The ISO certificates we have gained are the full proof to our strength. The goods that are added to the CE sign indicate that they are in line with the requirements of a series of European directives such as safety, sanitation, environmental friendly and consumer protection. As a result the goods we produce have met the standards of the CE. We have the power to supply the reliable products. What’s more, our company also gained SGS Certificates, Certificates of Registration, and CUTR Certificates. All in all, we have gained the certificates from home and abroad which are popular in the world. On the one hand, the senior engineers in our company are responsible for the quality of the products, and winch design is important part to their work. On the other hand, our company has strict inspection control system to make sure that every single equipment has passed the inspection at least 3 times before sending out. All of these practices are to make every product in good conditions. 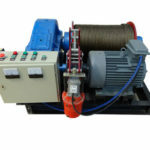 Our electric rope winch has the most competitive price. Firstly, our factory is located in the middle part of China which has relative lower place rent price comparing with the east China. As we all know, the cost in the process of fabricating determines the price of the products. As a result, we can provide you with the reasonable price in reliable quality. We can receive the orders from the customers who buy something before every day. Why they choose our products once again? These customers order our products once again because the quality of machine is reliable and trustworthy. During the development of our company, more and more twice orders we receive, better and better reputation we have in the world market. In brief, our company is developing rapidly with the cooperation of the whole staffs in our company. Our staffs always put customer first and devote ourselves to the customer. We believe that our company will be better and better with the devotion of all staffs. The single drum winches are fabricated in high and reliable quality. They mainly consist of winch drum, hydraulic motor, clutch, support shaft, cable and so on. 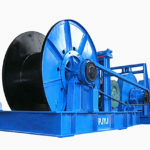 Winch drum is a part that can be circled by cable or rope. The material of the rope is determined by the size of the winch or the strength of the hoisting goods. Both single drum winches and double drum winches are simple to operate and practical. 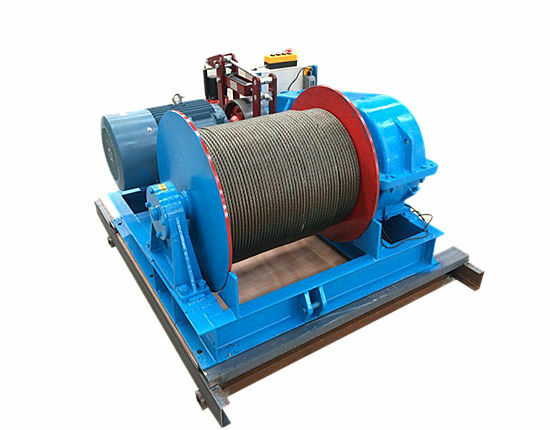 Compared with the single drum winches, the double drum winch has two winch drums in the winch machine. Generally speaking, the double drum winches are versatile. It can be used in many occasions such as in the construction site, in the bridge, in the wharf and so on. No matter where you need, we can customize the machine to meet your requirements. Ellsen is one of the most professional companies and we produce winch products for a quite long time. Our company has gained many certificates around the world as is mentioned in the former part. All of the reputations we have gained will promote the development of our company. We also hope to make great contribution and supply more products in reliable quality to customers. We believe that only the customers are satisfied with our products and company, can we develop well in the future. All in all, if you are interested in the electric cable winch or the other winch machines such as hydraulic winch, light or heavy duty winch, high speed winch and so on, please keep in touch with us through sending the email or leave a massage in our website. We will do our best to give the ideal winches to you. Welcome to visit our company and factory! 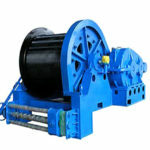 You will get ideal electric cable winch.